How is the cost of your motorcycle insurance determined? Like auto insurance, there are a host of factors that ultimately influence your premium. Some of these include the type of motorcycle you own, coverage options, your past driving record, and more. 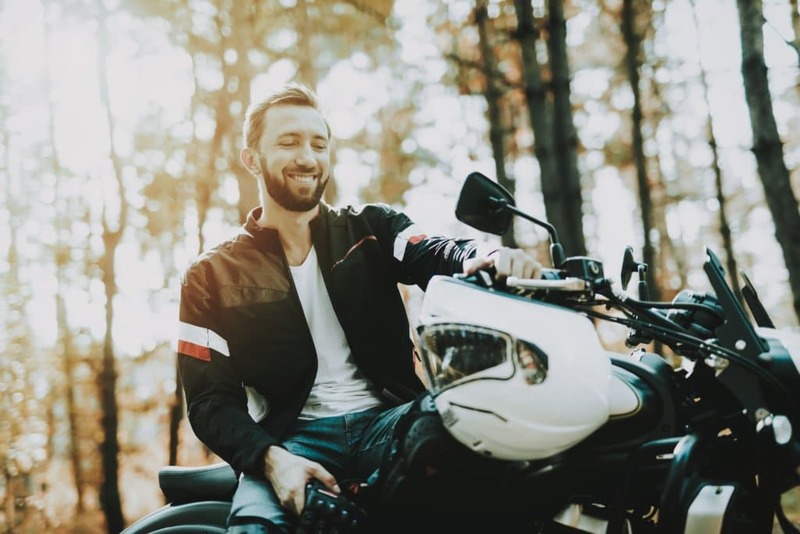 All states have mandated insurance requirements; however, your approach to motorcycle coverage should extend beyond satisfying the state’s minimum liability requirements. The reason is that those on a motorcycle are more susceptible to severe injuries or fatalities, even in low speed collisions. You should ensure that your bike is protected; and more importantly, that you are protected! Consulting with our insurance professionals for guidance is strongly recommended. In 2017, there were approximately 4,900 motorcycle fatalities across the country. This was actually a slight reduction from the 2016 total. Arizona saw a rise in fatalities over this time from approximately 144 to 165. Based on miles traveled, motorcyclists are killed at a rate nearly 28 times greater than those traveling in passenger cars. Nationally, an estimated 13% of motorists operate without the required liability insurance, which equates to roughly 32 million people. This percentage varies from merely 4% in Maine to an excess of 25% in Florida. Roughly 12% of drivers in Arizona are believed to have no insurance. Many states are beginning to implement better systems for insurance verification. Ultimately, uninsured drivers cause the costs of insurance to increase for everyone. The average annual cost of motorcycle insurance in the U.S. is around $519. These insurance premiums can fluctuate by up to 200%. There is a correlation between the costs of insurance and the number of residents per registered motorcycle in any given state. For example, Louisiana has only one registered bike per 67 residents and is among the states with the highest cost. The age of the insured motorcyclist is a larger determinant in how insurers determine their premiums. Riders under the age of 25 are deemed as being higher risk. This cost rises when a younger motorcyclist seeks to insure a sports bike style model. Type of Motorcycle: If your bike is expensive, the potential cost of repair or replacement will certainly increase the premium. Bikes that are designed for racing cost more to insure because they are considered more dangerous. Those driving what are referred to as “Super Sport” models have a fatality rate approximately four times higher than other styles. Coverage Options: Those opting for strictly state-minimum liability coverage will pay the least. Adding comprehensive and collision coverage lead to an increase in price. There are also many specialty coverages and add-ons. Driving Record: A poor driving history will certainly increase your premium. Certain insurers may consider a discount if you successfully complete an accredited safety course or class program. Fortunately, over time your driving record will improve by simply avoiding traffic violations and accidents. Those who are married tend to have lower rates than those who are single—particularly among younger people. Many insurers consider your credit score, as those with lower scores generally are more likely to file claims. Homeowners tend to pay lower rates compared to renters. Anti-lock braking systems (ABS) have been commonly used in passenger vehicles for years now. The transition to ABS among motorcycles has lagged behind. These systems detect when a wheel is about to “lock up” potentially causing the driver to lose control of the bike. The braking pressure is reduced quickly to allow the wheel to grip the road. The Insurance Institute for Highway Safety says motorcycles equipped with ABS are 37% less likely to be involved in fatal collisions. You might pay more for a bike with ABS and other safety features, but you may pay reduced insurance premiums. In today’s highly competitive market for motorcycle insurance, many insurance companies are offering unique policy features to differentiate themselves. Many of them are value-added that are automatically included and others are optional and available for a price. Either way, these benefits will translate to increases in price to some extent. As is evident from this data, there are many considerations when shopping for motorcycle insurance. At the Gebhardt Insurance Group, we understand that the process of shopping for motorcycle insurance may seem overwhelming. Our local professionals in Casa Grande will find you a policy that is economical and has the coverage you need. We frequently are able to find excellent motorcycle insurance discounts that can save you money. If you are in need of a motorcycle insurance quote, give us a call at (520) 836-3244 to speak with our experienced insurance representatives.